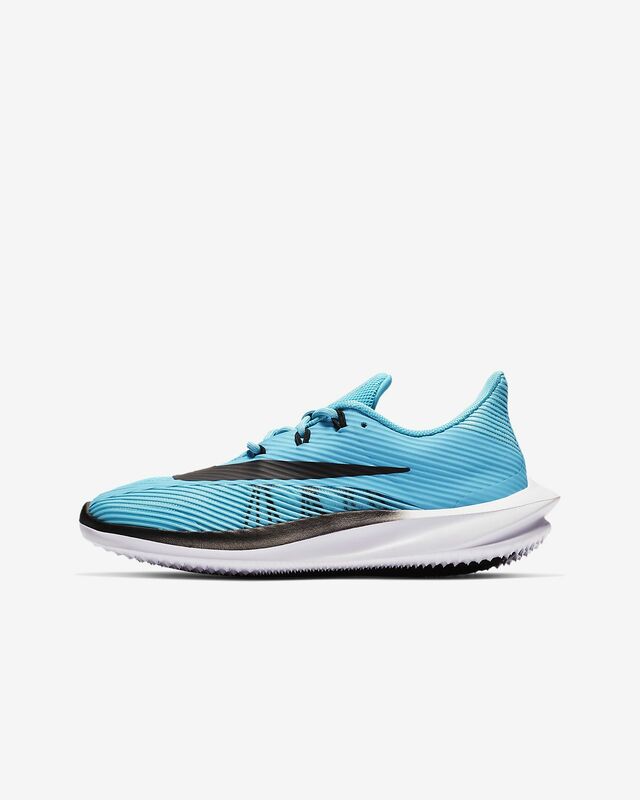 The Nike Future Speed Little/Big Kids’ Running Shoe is ultra-lightweight to make you feel fast on your feet. The rounded outsole and angled heel help give you a quick release on transitions, while micro-grooves make the sole super flexible. 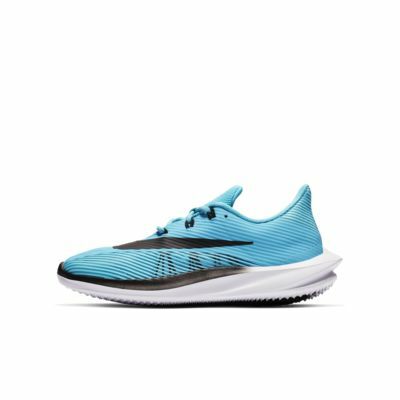 The bottom is slightly rounded for additional cushioning on impact and works with the angled heel for a smooth transition from heel to toe. An aggressive tread pattern gives you traction to push off. A Solarsoft foam footbed provides light, bouncy cushioning. The knit upper is breathable and secures your foot with Flywire cables. A soft plush collar pads your heel and ankle for all-day comfort. Micro-grooves on the bottom make the shoe flexible to bend with your foot in any direction. My 7 year old son was so excited to order these, but was let down when they came in the mail and found that his foot couldn't even fit inside. This is a very narrow shoe. Avoid if foot is wide. Nike, PLEASE make your shoes in size wide. After speaking to other moms I heard the same thing "Don't buy NIKE if feet are even slightly wide." Such a disappointment.